We are true 240z lovers, all reproduction parts where developed because of the lack of items being available from Nissan or any other vendor. All the reproduction parts go on our restorations. 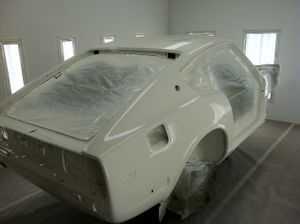 If it goes on our restoration, then you know it will fit your restoration project. Satisfaction guaranteed or your money back. At 240zRubberParts.com, we specialize in making reproduction 240z rubber parts ,which are NLA from Nissan, with the highest levels of customer satisfaction – we will do everything we can to meet your expectations.